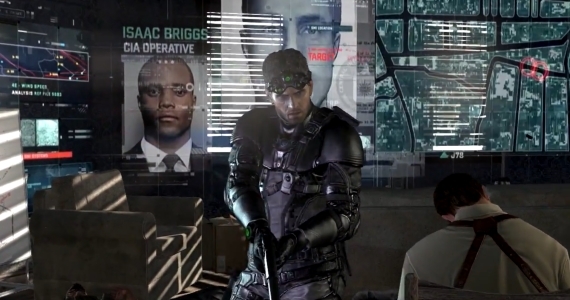 Splinter Cell: Blacklist, the first game in the series to be produced by relatively young studio Ubisoft Toronto, has so far given the impression that it will change up quite a few aspects of the stealth shooter series; aspects that have come to be close to fans’ hearts, but accompanied by promises that the essence of Splinter Cell remains intact. When we got the chance to preview Blacklist earlier this year, we found that many of those changes will make the game the biggest in the series so far, with plenty of new detail, technology and gameplay features. Now we know that the game is one step closer to being unleashed upon fans who have heard enough, and simply desire a chance to try the new Splinter Cell experience for themselves. With the time until release closing in fast, Blacklist has just gone gold and is now being manufactured ahead of its release later this month. To mark the occasion, Ubisoft has released a 7-minute trailer showcasing the best of the action and customization available in both the singleplayer and co-operative modes.